Offering you a complete choice of products which include single variac type servo stabilizer - air cooled, three phase variac type servo stabilizer - air cooled, single variac type servo stabilizer - oil cooled and three phase variac type servo stabilizer - oil cooled. 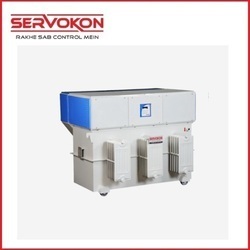 As automatic voltage stabilizers are loaded with plethora of features, they are highly demanded in residential applications for protecting Refrigerator, Deep freezer, Bottle and water coolers, BOD incubators, Air conditioning appliances from voltage fluctuation. We are a quality concerned company that doesn’t compromise with the quality during the manufacturing process and even the final dispatch is done under the supervision of technical experts. 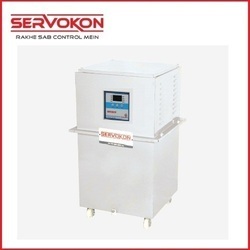 Servokon specializes in manufacturing and supplying high quality Oil Cooled Digital Servo Stabilizer to give optimum voltage supply solutions to all types of industrial, official and residential needs. Days are gone when individual stabilizers used to be installed with every electrical equipment. 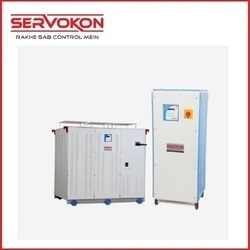 With our oil Cooled Servo Stabilizers, we offer customized single stabilizer solution that caters to the complete electrical load and voltage supply. The control circuit of our oil cooled servo stabilizer controls the voltage or power automatically and regulates it to a level that is set or required. The best part is that in the entire operation, the voltage regulator doesn’t require any manual interruption, it functions automatically. Once it is set, you need not to check the voltage every time the main voltage fluctuates. 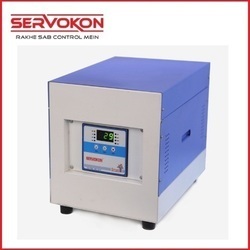 Looking for “Servo Voltage Stabilizers”?